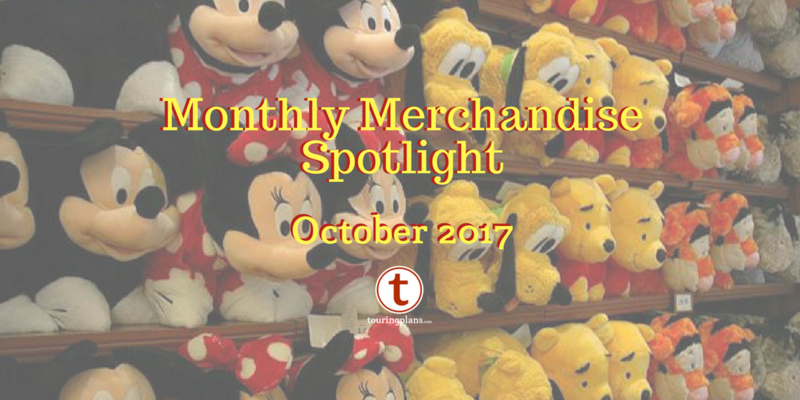 This month, I did a bit of window shopping around Magic Kingdom. Here’s some of the goodies that you may want to put on your wish list. 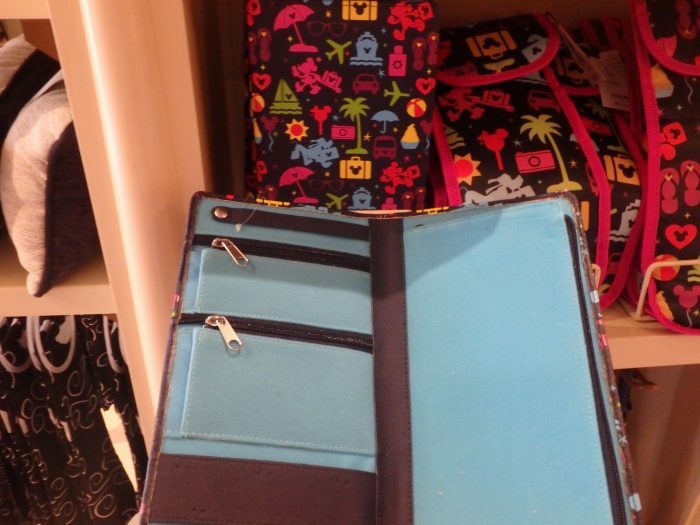 Remember, many (but not all) of these items are available through the Shop Disney Parks app. 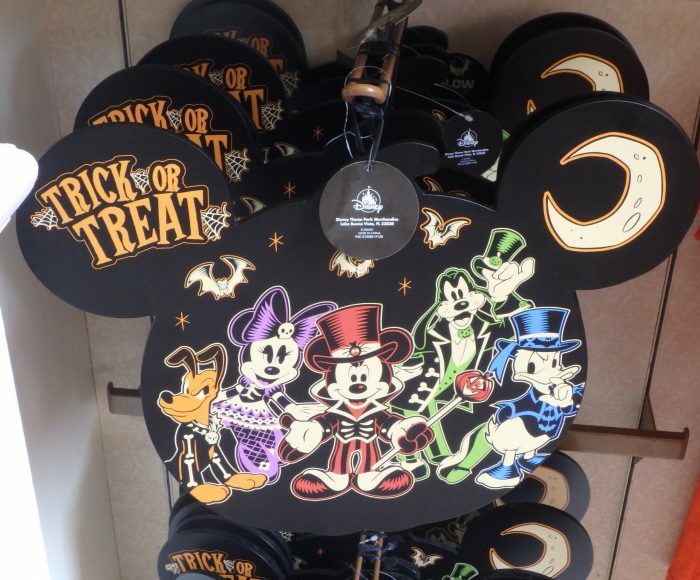 The Halloween season is in full swing, and this year Disney has some super-cute décor. I really like this wooden Halloween sign with its slightly edgy artwork. This sign is $32.99, but is only available in stores. 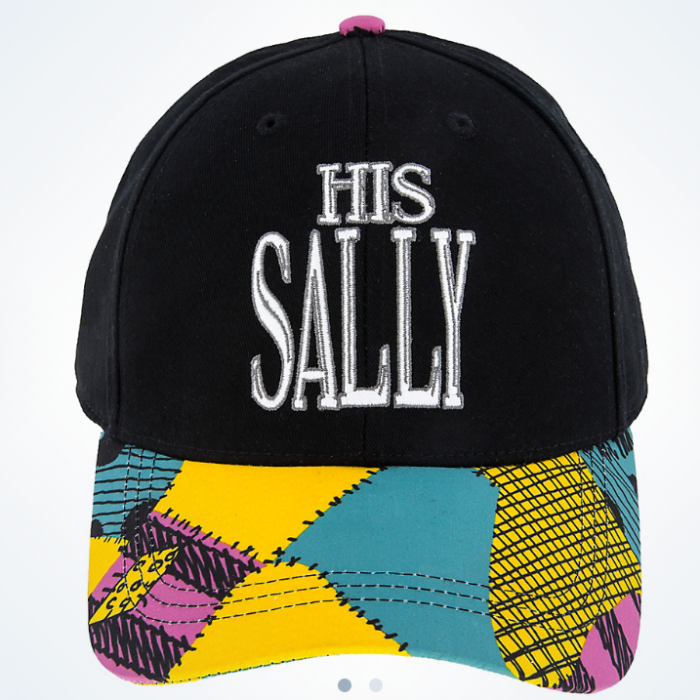 If this makes it to the Outlets, I may have to pick one up. Who doesn’t love decorating for Halloween? At one time, I think we had every type of glowing necklace possible for our daughter. Thankfully, she’s outgrown much of that, but secretly I love the pumpkin one shown here. 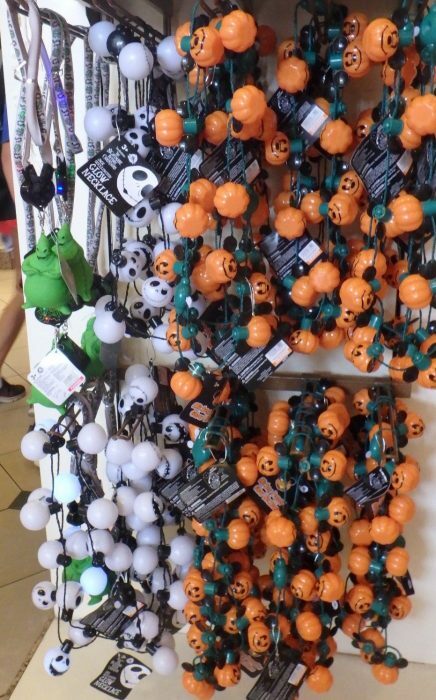 And if you’ve got a Nightmare Before Christmas fan, a necklace of glowing Jack skulls might be a hot buy. Prices for glow necklaces vary, but generally are not sold through the app. Speaking of Nightmare Before Christmas, lately Disney has done a variety of couples’ clothing options, especially for his and hers t-shirts. 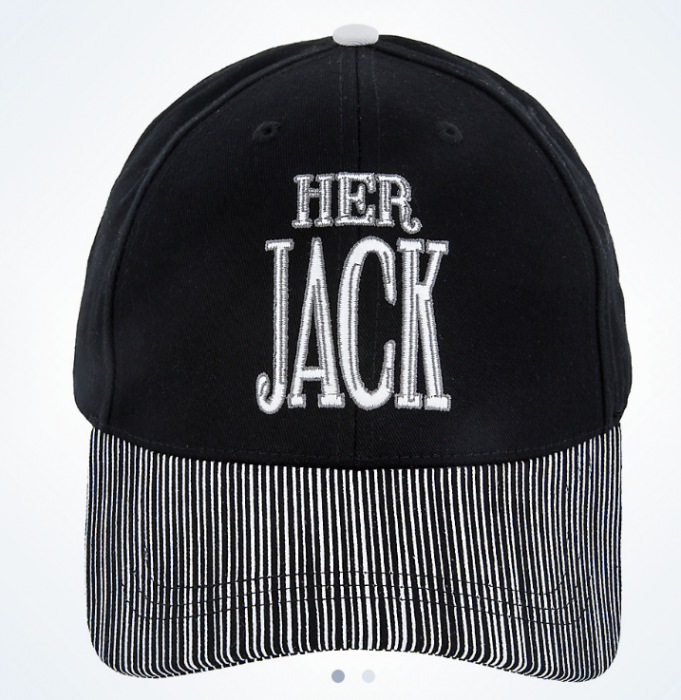 In the same theme, you can now get Jack and Sally couples’ hats. These are $21.99 each and are available in the app. Because I’m short and they put the hats on a high shelf, I’ll let you enjoy the pictures from the app itself. The Starbucks You Are Here mugs always seem to be quite popular, even though I think that they hold a rather insufficient amount of coffee for someone who would want to have Starbucks-branded merchandise in their house. (Or is it small so you can have extra cups without guilt?) 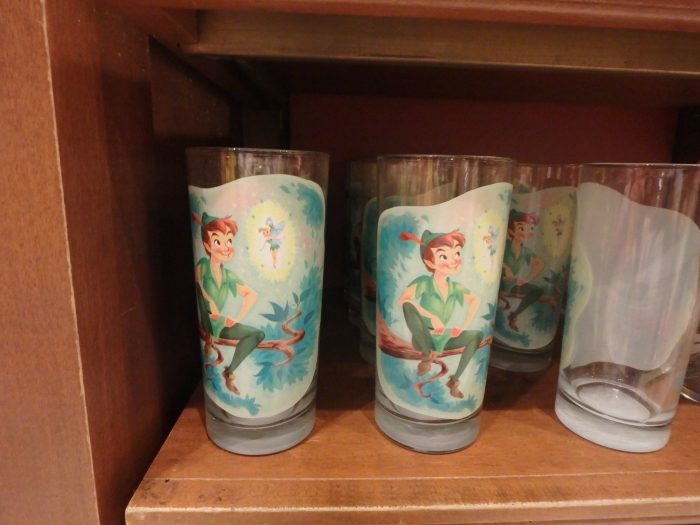 Recently, a second generation of the mugs have made their appearances as the parks. The original mugs are still available until they sell out, and the more colorful new mugs are also available. 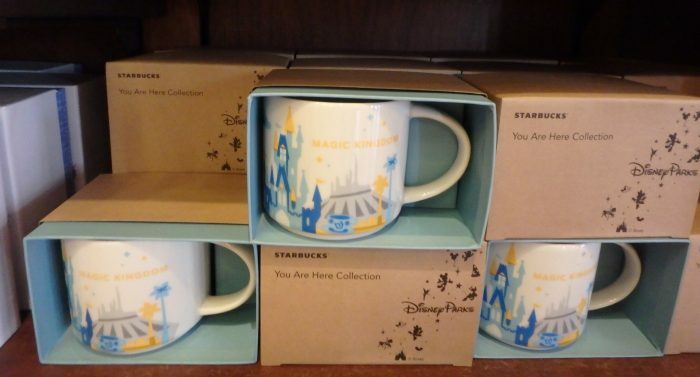 If you’re not into Starbucks mugs, there are always a wide variety of mugs for sale at Disney. 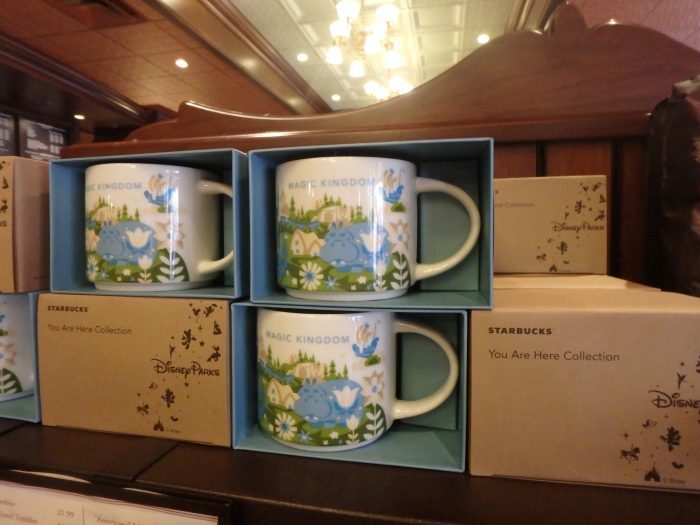 This particular four-parks mug caught my eye because of its quirky artwork style. 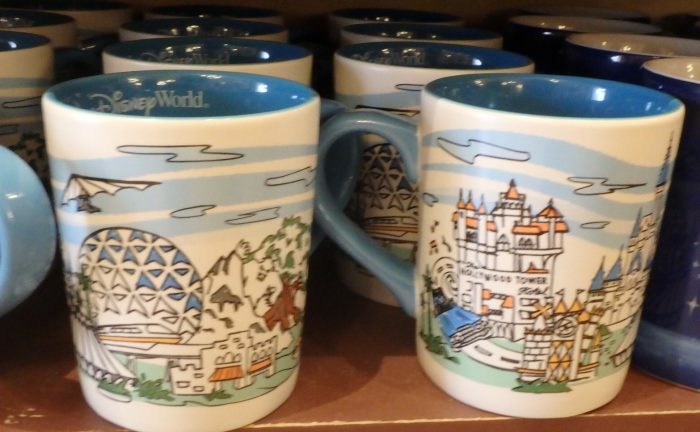 This “Walt Disney World Skyline Mug” is a very reasonable $13.99 and is available on the app. 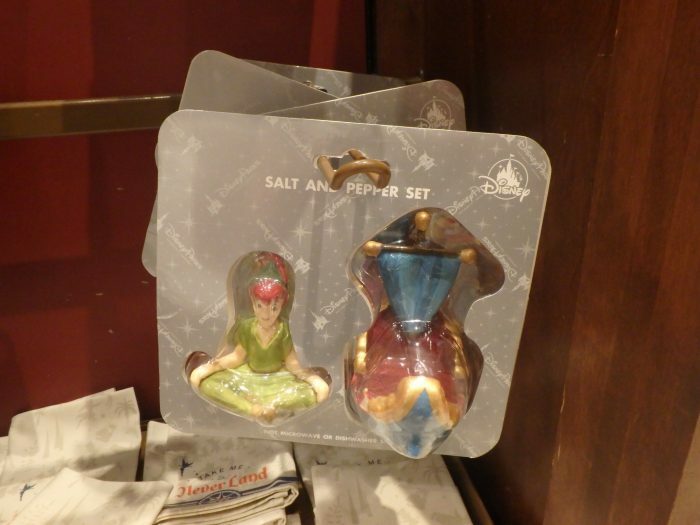 Speaking of Peter Pan, if you collect Peter Pan items or salt and pepper shakers, you might want to look for this one. Sometimes salt and pepper shakers do make it to the Outlets, but not all of them get there. So if this one is a must-have for you, pick it up sooner rather than later in store or in the app (for $19.99, available in stores and in the app). 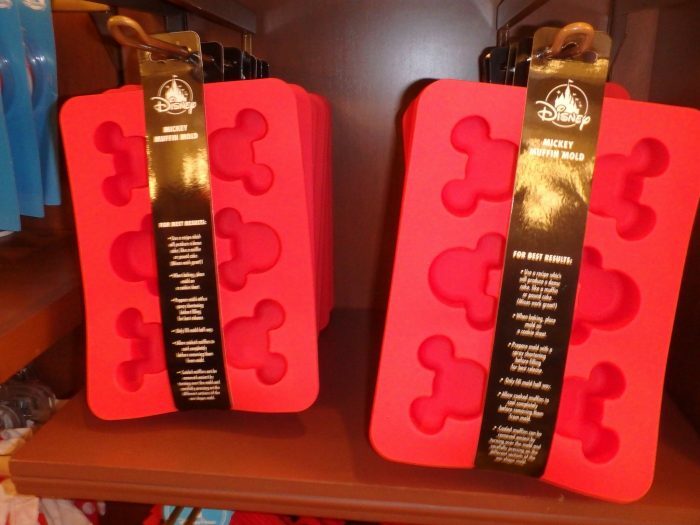 Staying in the kitchen area, I had to stop and take a look at these Mickey Muffin Molds. Seriously, who wouldn’t love a Saturday morning chocolate chip Mickey muffin fresh out of the oven? This silicone muffin tray is $14.95. 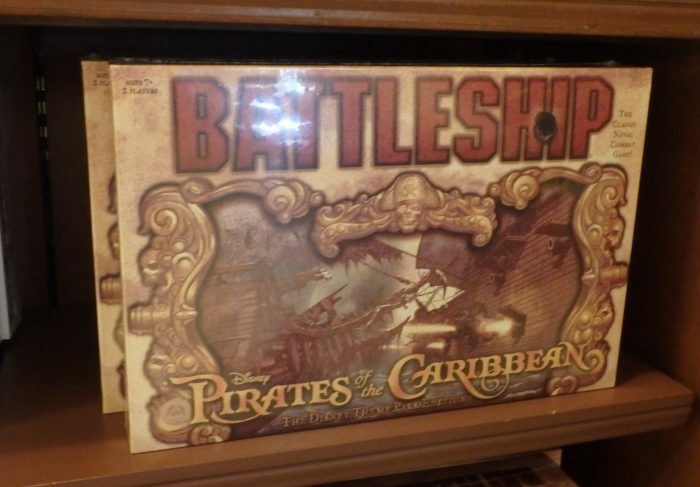 At our house, we’ve started enjoying a Friday night Family Game Time, so I had to stop and look at the Disney-themed board games. 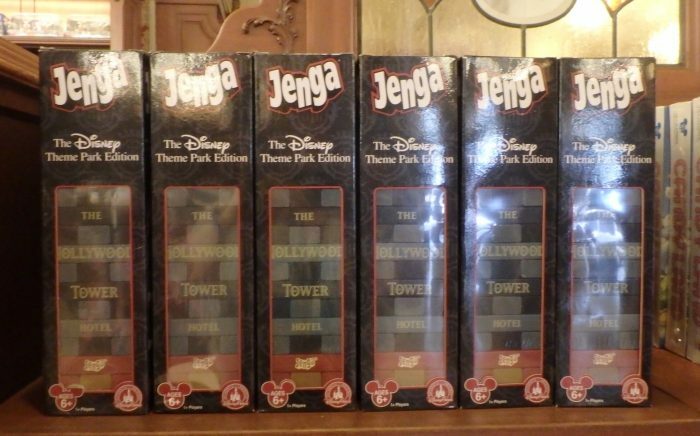 Which would you prefer to play on a Friday night, Pirates of the Caribbean Battleship or Tower of Terror Jenga? Everything old is new again–and retro-style shirts are a big thing. 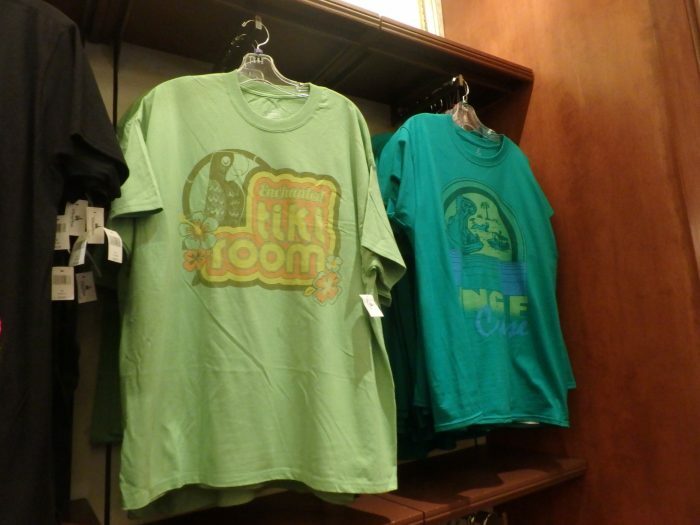 The colors may not be my cup of tea, but don’t you just love the font for that Enchanted Tiki Room shirt? It screams classic 70s Polynesian-themed tourist stop. These shirt are not yet currently in the app, but may make an appearance in a few days. Anyone who knows me knows that I try and carry as little as I possibly can when I go anywhere, so needless to say, purses aren’t generally my thing. 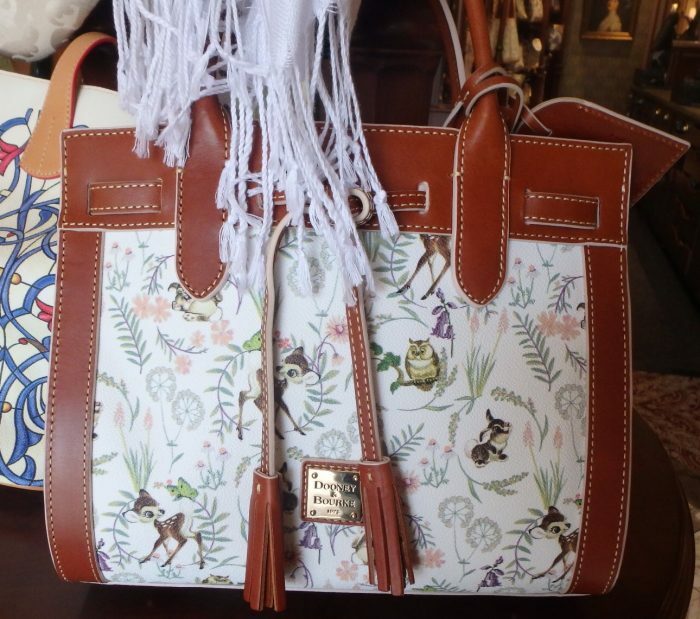 That said, this Bambi-print Dooney and Bourke purse is such a classic nod to the original artwork. But because it is a Dooney bag, I’m so terrified of the price that I didn’t dare move the scarf that was artfully displayed covering the top of it. I think the price of this one is either second-born child or kidney of your choice. Out of all the items I saw when window shopping, this was the one that I almost bought–a jewelry organizer for traveling. There’s spaces in there for earrings, necklaces, and other jewelry. 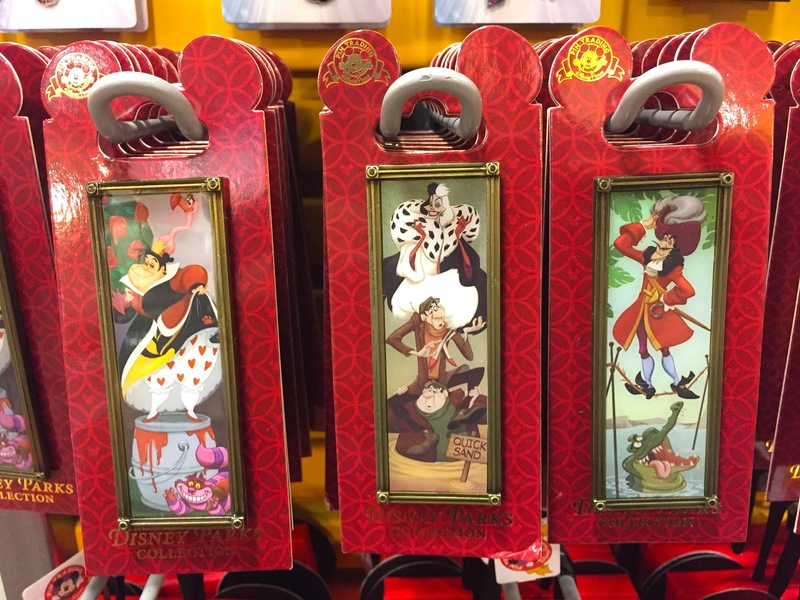 The pattern on the outside is shown in the back of the picture and features the cute Disney friends on the go travel print that has been popping up a lot lately. It’s $30, though, so if you’re like me and the junk jewelry you tend to wear costs a lot less than that, a jewelry organizer might not be worth it. 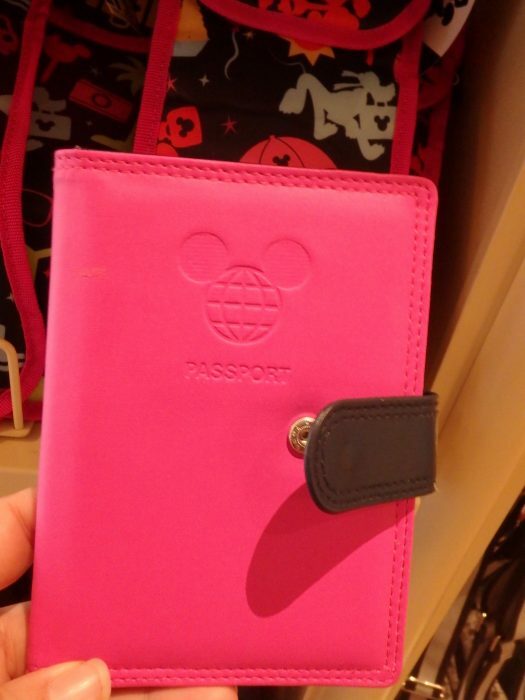 With the amount of cruising I do, part of me felt I should get this passport holder. The rest of me realized that when I’m trying to juggle a gazillion things at the check-in desk, the last thing I need is something standing between me and getting that passport out to hand over. 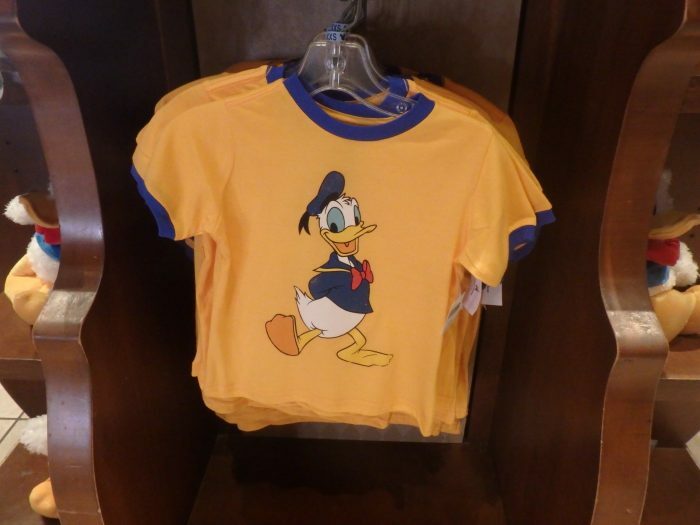 Still, it’s nice to see that Disney is expanding their line of travel items. Fun fact–as of today, the pink one is $24.95 and found in the app and in stores, but a red one is on sale in the app for $18.71. Score! We’re a cat family, and so I see these mouse ears for dogs and think “What kind of crazy person would put mouse ears on their dog? 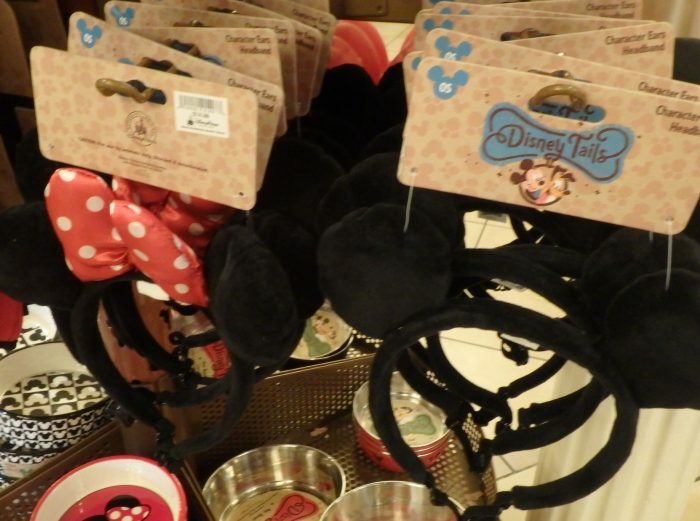 ?” If I had a dog…yeah, I’d probably let them wear mouse ears whenever they went out in public. I started playing Disney’s Emoji Blitz app when it first came out, but somewhere along the line I lost interest. My daughter still plays frequently and tries to explain all the different special characters that come out for various events. I think when we look back on 2017, it will be the start of the emoji-ficiation of Disney. 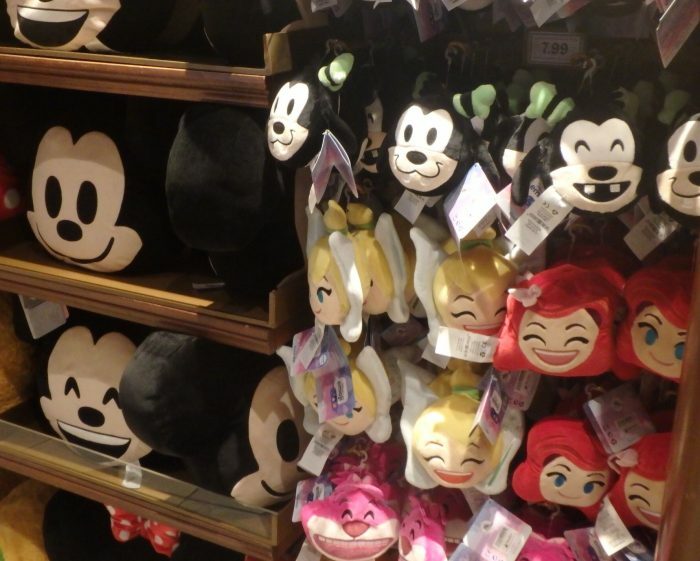 Emoji plushes, emoji water bottles, emoji bags–they’re all coming to a Disney park store near you. And now it is time for the moment where I make my prediction of what will be coming soon(ish) to the Outlet report. For this month, I have to give it to the Mr. Potato Head mug. I must admit, drinking drinks out of the heads of characters is only one step better than Disney’s series of headless Mickey and Minnie housewares where they are feeling for their missing heads. This Mr. 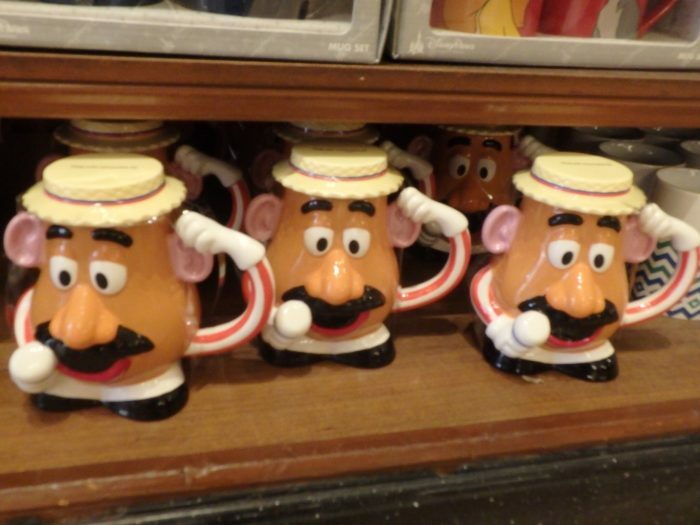 Potato Head mug not only has the awkwardness of drinking out of the head, but it also has a shape guaranteed to break off on something or collect all sorts of schmutz in its various nooks and crannies. I can’t imagine that Mr. Potato Head is that insanely popular of a character for most people. For these reasons, I predict it will be coming to an Outlet near you. Yay, Julia! The intern becomes the master! Thanks for this fun look at current merchandise. I love using the shop the parks app and it’s great that it automatically gives me my dvc discount. Just as long as Derek doesn’t pull the “I’m your father line”, all shall be well in the universe! I managed to bring the Beauty and the Beast stemless red wine glass back to the UK. In the shop they put it in a box and stuffed it full of packing paper, made it home without a scratch on It! Wow! That’s amazing! I’m nervous about walking from a store to the parking lot with anything breakable. Admittedly it was the most relieved moment of my life when I opened the box at home, I was expecting it to be in pieces. Fingers crossed for the BOG plate this year! Awesome! Thanks for enjoying it!! Let me know if there’s a park you want me to window shop at for next month. Oh, any park would be great. These merch posts give me a way of window shopping from several states away. What a treat! Great series! I will definitely be back for more in the future. I’ll bet Animal Kingdom has some interesting finds. I always feel like I don’t even go into gift shops while I’m in that park, compared to the others. Not sure why. So, it would be interesting to see all the stuff I’m missing out on! I am going to repost my question here and maybe someone reading this month can help.